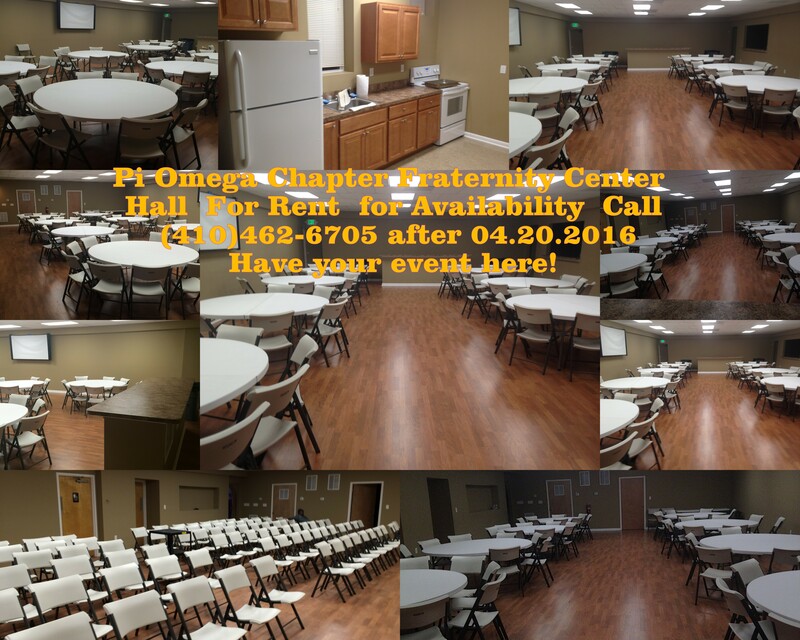 Located in Baltimore City, The Pi Omega Fraternity Center newly renovated provides a Air Conditioned spacious and comfortable atmosphere for you and your guest. The facility can accommodate up to 150 Sit Down and 250 Stand Up people comfortably. Plan your next event here. In a secured location. This venue provides everything to fit your needs. For dates availability and room reservation please contact the Pi Omega Fraternity Center at (410)462-6705 and the Facilities Manager Brother Lasava Tidwell will return your call for booking information and reservations.